Hey guys, I’m sorry this isn’t a new ISBI chapter but I do have legacy news. Remember that legacy I mentioned a while back? Well, I finally sorted out a blog for it and posted the first 2 chapters. 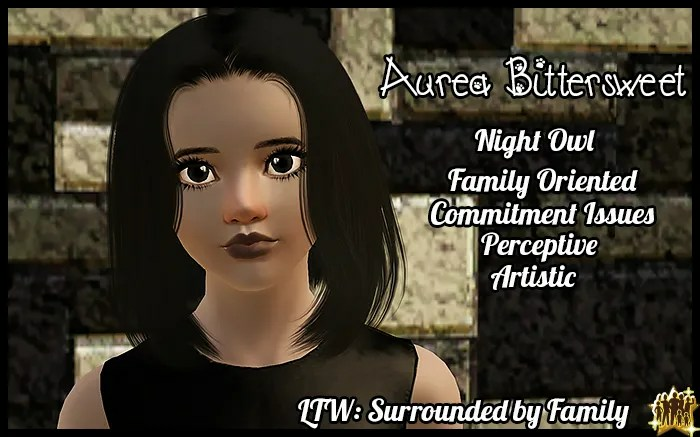 This is my intro/founder picture from the first chapter. If you fancy taking a look at my new legacy click on the picture above and it should lead you to my new blog. Okay, so I know that the last chapter was almost a month ago but a new chapter is definitely on it’s way (when I can get the time to sit down and write it that is). Anyway, the point of this non chapter post is that I’m thinking of making another documented legacy in the same style as this ISBI that will run alongside this legacy. I figured I could play the other legacy when I get bored of playing the Holly’s (which happens more than you’d think). The legacy I’m thinking of starting is one I was meant to start on Tumblr but just never got around to it. The original post is –Here- if you want to check it out. What do you guys think? Would you be interested in me starting that type of legacy? Would anyone read it? Let me know your opinion, it really helps me out.